Migraines also have distinct phases. Not everyone will go through each phase. Premonition phase: This includes changes in mood and behavior and begins hours or days before the head pain starts. The aura phase: An aura involves a group of sensory, motor, or visual symptoms that happen just before the head pain. For example, you may experience numbness, problems with your speech, muscle weakness, and hallucinations. Not everyone has this phase. The head pain phase: This is when you experience the actual head pain. Throbbing and pounding may be found on one or both sides of the head. Sensitivity to movement and bright light is quite common, as well as extreme exhaustion, anxiety, and depression. 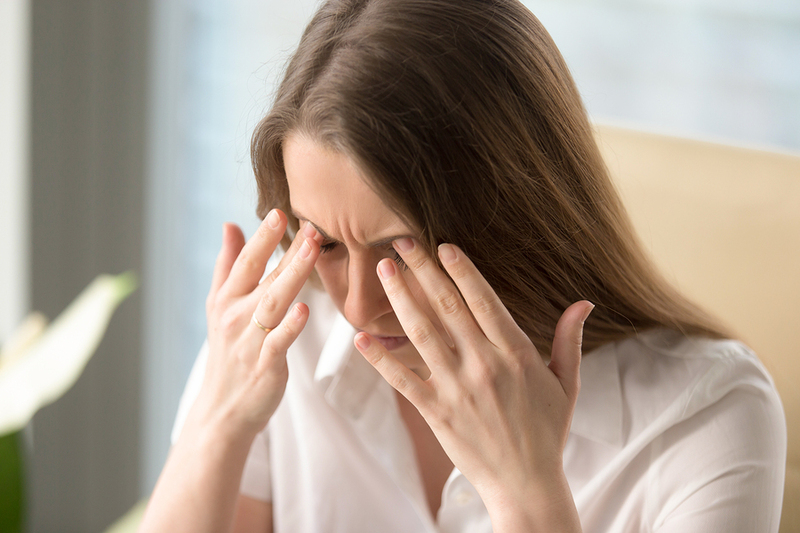 Head pain resolution phase or migraine hangover: The pain may lessen or disappear, but might be replaced with tiredness, problems concentrating, and irritability. In some cases, people actually feel refreshed and revived. A migraine without aura: This is a very common type of a migraine that does not include symptoms that warn of the impending pain. A migraine with aura: These migraines are less common, and they have warning symptoms, such as flashing light or zigzag lines an hour or so before the head pain begins. Do your best to try to control the amount of stress you experience in your life. Have your diet evaluated to see if you are eating the right food to help your body function properly. Take part in exercise on a regular basis. Use cold packs applied to the head or neck to help reduce inflammation. Use biofeedback training to help control your breathing. Avoid known triggers, such as certain foods and beverages (chocolate, red wine, aged cheeses, MSG, and aspartame), not getting enough rest, and not eating on a regular basis leading to blood sugar lows. When a migraine hits, you will want to lie down in a cool, dark room until the pain subsides. Stay well hydrated, as dehydration leads to migraine attacks. Be sure to have good posture and have your upper cervical spine evaluated by a professional. In line with the last suggestion mentioned above, it is a good idea to make sure your upper cervical spine is in proper alignment. 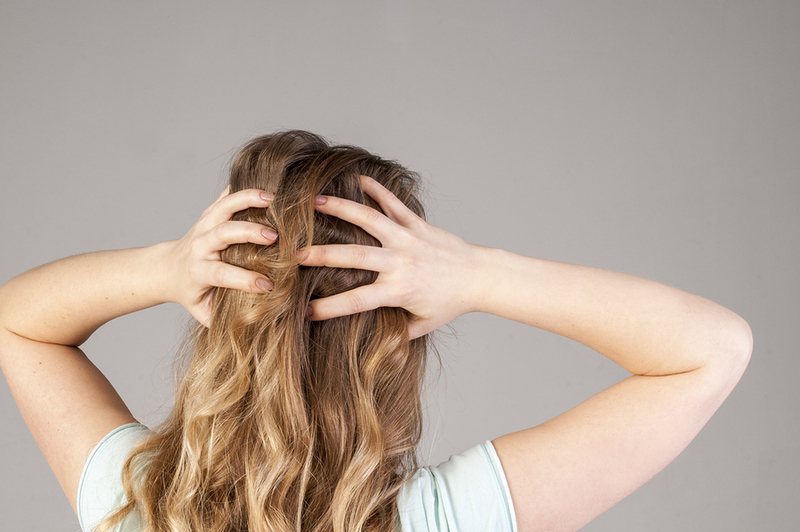 A misalignment in this area has been linked to migraine headaches. This is true for a few reasons. For one thing, the C1 and C2 vertebrae were designed to protect the brainstem from damage. However, if they become misaligned due to an accident or injury of some sort, they can actually put the brainstem under stress. This leads to the brainstem sending improper signals to the brain and can cause migraines. Another thing that happens is the misalignment leads to a type of blockage to blood and cerebrospinal fluid flow. This reduces the amount of oxygen in the brain, which is known to be a cause of migraines. Here at Partnership Park Chiropractic in Jackson Michigan, we use a gentle method that helps the bones of the neck to move back into place naturally, without the need to pop or crack the spine or neck. This allows for a longer-lasting adjustment. Case studies have proven this type of care to be effective for those suffering from migraines. Some patients see improvement in as little as one or two visits.